Read the blog to know why mutual funds are the best gift you can give your family this Christmas. Christmas, the day for which everyone waits eagerly for because of the happiness and enjoyment it brings. One of the major sources of that happiness is the number of gifts we get from our friends and family. But, have you have thought why these gifts are given or what is the history behind that. Well, let's have a quick look. There are 2 particular stories behind the gifts we get on Christmas. As per the first story, the reason behind we give gifts to other is because of the 3 gifts given by the wise men to Jesus. The three gifts included Gold, Frankincense, and Myrrh. And, many say that Christmas itself is a gift given to us by God 2000 years ago. God, with the aim to guide humanity and put it on the right path, gifted his only child to the world. This initiated the gifting ritual of Christmas. This show that Christmas gifts should be the one that can somehow affect the life of the receiver or can at least bring a little change to it. One such thing that you can gift your loved ones this year is financial freedom, and one of the best ways to provide that are mutual funds. 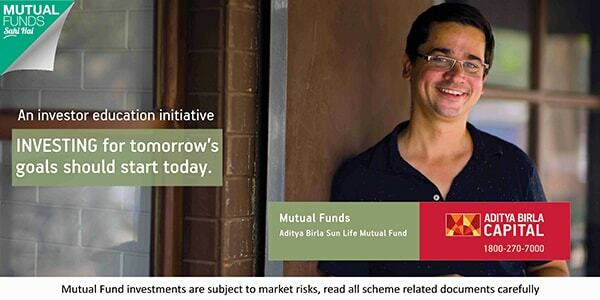 So, today, we will see what are the options that the mutual fund industry holds for your loved ones. One of the major worries of a person is, what will be his/her financial conditions after a particular time. Will his savings be enough to give his family financial stability in the future? Well, if you are one of those persons, then you certainly need to access the way you save. To ensure that the way you are saving will prove to be successful, you need an instrument that can at least beat the inflation rate. For this, equity mutual funds are the best option. Equity mutual funds (large caps, mid caps, small caps, etc.,) over the years have provided annual average returns ranging between 12%-18%, depending on the category of equity scheme. These have emerged as one of the best investment instruments for the purpose of wealth creation. So, the first gift that you can add to your list is a long term investment in a good equity scheme. Remember to choose a scheme according to your risk appetite and investment horizon, so you don't have to face complications in the future. Everyone knows how important is life insurance, as this is one of the things that is there to support your family in case of some uncertain events. Now, you know that for a general life insurance policy, you have to shed huge premiums for a particular time period to get that policy into action. But, what if we told you that you can enjoy the benefits of insurance for free with your mutual fund investments. Well, as of now, three AMCs, Reliance Mutual Fund, Aditya Birla Sun Life Mutual Fund, and ICICI Prudential Mutual Fund are offering the advantage of insurance with SIP investments in particular schemes. In simple terms, when you make investments in these schemes for a particular time period, then in case of some unfortunate events in the future, your family will get a particular amount (depends on your tenure and SIP amount), the maximum limit of which is Rs. 50 lakhs. One of the greatest gifts parents can give their children is a secure future and in today's era, attainment of this goal requires a considerable amount of money. But, don't worry as mutual funds have a solution to this too. In MF industry, there are a certain number of schemes, for this particular objective and these schemes fall in the category of solution-oriented schemes. These are specially designed to provide a smooth wealth creation to investors so that by the time their children reach a specific age, they have enough money in their hand to provide them with the education they deserve. Must Read: Gift Foreign Education to Your Child. Know How! So, in the above options, we have covered gifts for your family, but what about you. Well, don't worry as we have something for you too and that is Retirement Planning Mutual Funds. These schemes are specially designed to provide investors with a great corpus at the time of retirement so that they can live their 2nd innings without any hassles and can enjoy each moment without worrying about the money. These schemes go through a switch at particular intervals so that the investor can gather his/her retirement corpus without any panic. With these schemes, you can gift yourself a retirement that you have dream of now. Hope now you know why mutual funds are the best gifts that you can gift your family this year. So, don’t wait up and start your investments today, to bring that little change to their lives, that they deserve on this Christmas. For the best plans, you can connect with the experts of MySIPonline, who after analyzing your profile and needs will be able to provide you with more specific schemes. And, most important of all, enjoy this Christmas to the fullest. The entire team of MySIPonline wishes you and your family a Merry Christmas.